School House is the oldest house at Rugby School and the first to play Rugby. 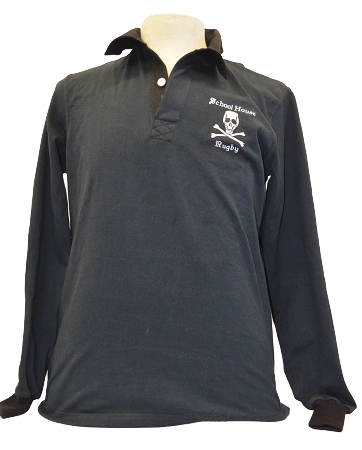 School House was the first to wear uniform outfits for Rugby as they were the only house to play as a single unit well before 1850. The skull and crossbones design is their symbol and is still worn today by School House Seniors who have been awarded their "cap".